Bug description: It doesnt give credit for for Elder Lusshan when you speak to him and even when you take his only available dialog option. This quest was somehow completed by 1661 players on Felsong and I have no honest idea how. I've resetted my client many times, deleted cache and disabled addons, abandoned and retook the quest, and it changes literally nothing. 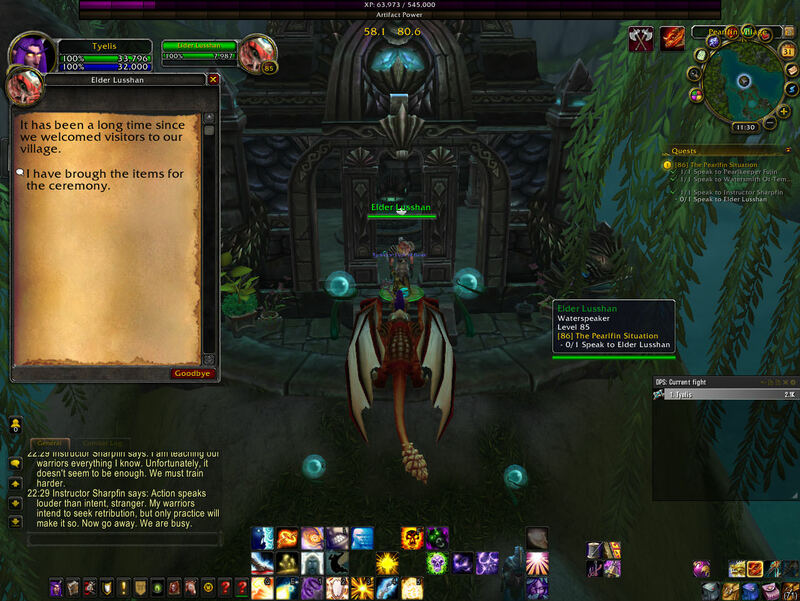 This is quite a problem, because it halts my progress in Jade Forest and possibly in entire Pandaria. It doesn't give credit for Elder Lusshan. Tested it on ptr.